"Everything is awesome!" is the catchy theme song for the city that businessman and secret tyrant President Business/Lord Business (Will Ferrell) have everyone singing along to. And while it may not be true for all animations that has come out recently, it definitely holds true for this film. The last animated film which I held with such high regards to be able to intelligently have adults laugh out loud while having kids excited and giggling would be The Croods. 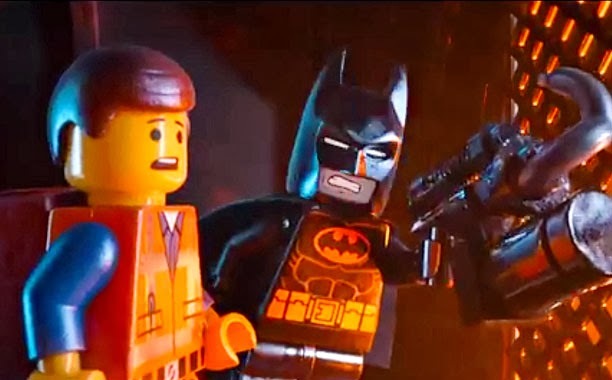 I am not use to seeing the Lego characters come alive as they do in the movie. But when you think about the amount of work that is put into the animation, keeping everything in "block" form, it just blows the mind. The film is about the unlikeliest of heroes, an everyday construction worker named Emmet (Chris Pratt). He's is so plain that not even his coworkers have anything really nice to say and some can't even recall him. However, he stumbles upon a piece of relic that is supposed to be part of a prophecy that Vitruvius (Morgan Freeman) had a vision that someone interesting and special would find and use to stop Lord Business. Lord Business does not like change or creativity. Having Legos from different sets (worlds) intermingle and creating something new. 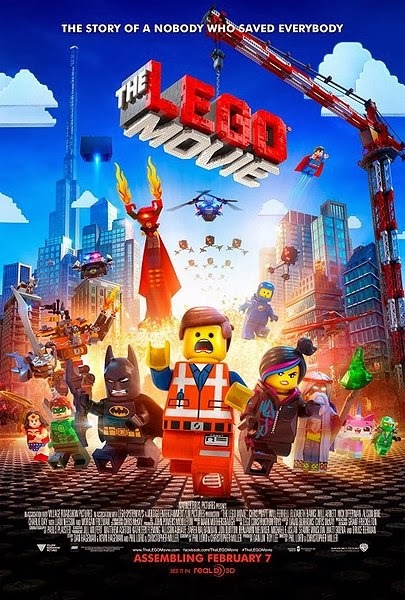 Emmet along with new friends he meet on his unlikely journey aims to stop Lord Business's nefarious plans. There is very little that I can pick fault with in this film. I enjoyed it immensely from beginning to end. From the humor in taking ordinary objects and having the Lego characters misconstrue or mispronounced the words like an x-acto knife or what they take as the "Kragle." What a great marketing tool this is for Lego with all new characters and familiar ones from various sets that kids will be clamoring for like the DC Super Heroes, Wild West, and let's not forget Uni-Kitty! Without a doubt my daughter's favorite character. The cute eyes to its "Hulk-out", it's the cute character that every animation film needs to be a success for kids. Overall, as if you didn't already know, I would highly recommend this to both kids and adults. Because it's a Warner Bros movie, you'll only see DC Super Heroes and not Marvel ones. But still there are plenty of other sets represented like Teenage Mutant Ninja Turtle and even Star Wars. I like the twist in the end which I won't go into detail so you'll have a nice little surprise. But some of the lines in the end are some of the best which I can relate to. Like when a character mentions that Lego has on their boxes a certain age group, which the other person retorts that it's suggested only. For those of you that love Lego and wants to add a movie piece to their collection, Lego Stores and Online are currently giving away a free mini Emmet set called "Piece of Resistance" here with a minimum purchase of $50. You also get a free Child Legoland ticket offer for a limited time. Charlie Day as Benny, a "1980-something space guy." Will Forte as Abraham Lincoln, one of the Master Builders.